Many of you are probably familiar with the Inception Deck. 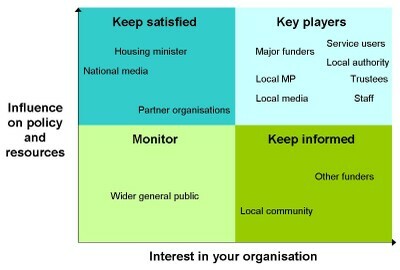 It is a tool to get all the stakeholders aligned at the beginning of a project or product development. The idea is to get this alignment to happen with the least paperwork possible. The Inception Deck provides a set of 10 exercises to be done in order to achieve this in a lightweight fashion. The original Inception Deck can be found in the book Agile Samurai. At Criteo we have started some major change initiatives and during the project inception phase we wanted to make sure we were aligned. The Inception Deck seemed like a perfect candidate. 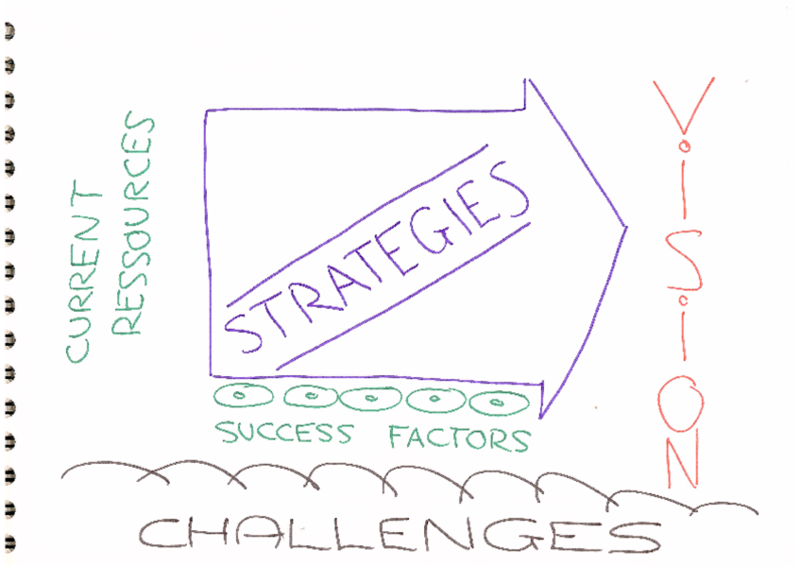 But the question is: which parts are valid for change management? It’s pretty obvious that “show the solution” is not a great fit. First of all, there is no architectural solution in change management. There are at most potential alternatives for experiments to run. Furthermore, the NOT List is too vague for our purposes, as it’s not easy to make a list of features. Most of these things will be discovered as we go. What we noticed was missing was a proper way to describe the current environment, the vision where we wanted to go, and some strategies on how to get there. For this purpose the Graphic Game Plan chart is a perfect fit. We got this chart from the Visual Meetings book, which we highly recommend. You can see an image of the chart we added below. In a way, this chart could be considered to “Show the Solution”. Not in a technical way, but in a strategic way. Furthermore, there was no high level plan which in the Inception Deck is targeted by the NOT List. What we did for this purpose was to bastardize the User Story Mapping. Instead of putting the different steps of a product for the Skeleton, we discussed which high-level initiatives we were going to drive. 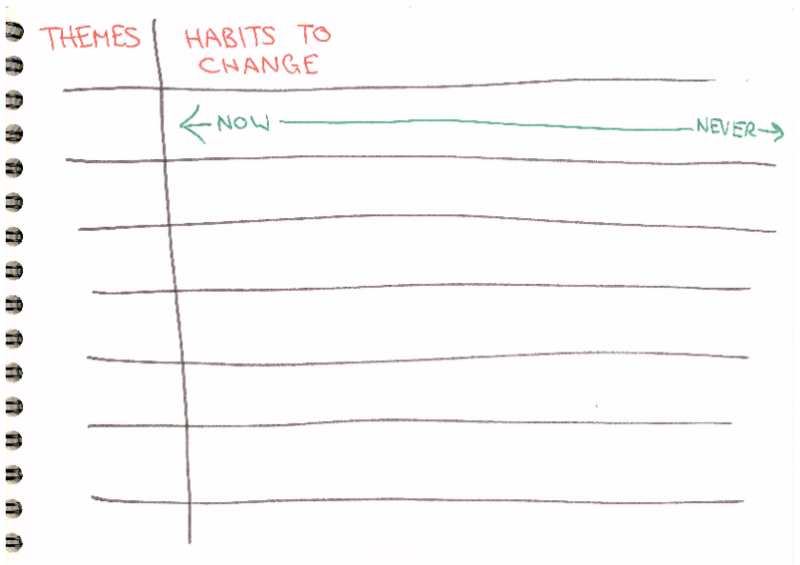 For each of these initiatives, instead of adding product features, we discussed organizational habits to change. The following image shows how we presented it. Finally, in change management there is a lot of risk and we wanted to be able to counter it. 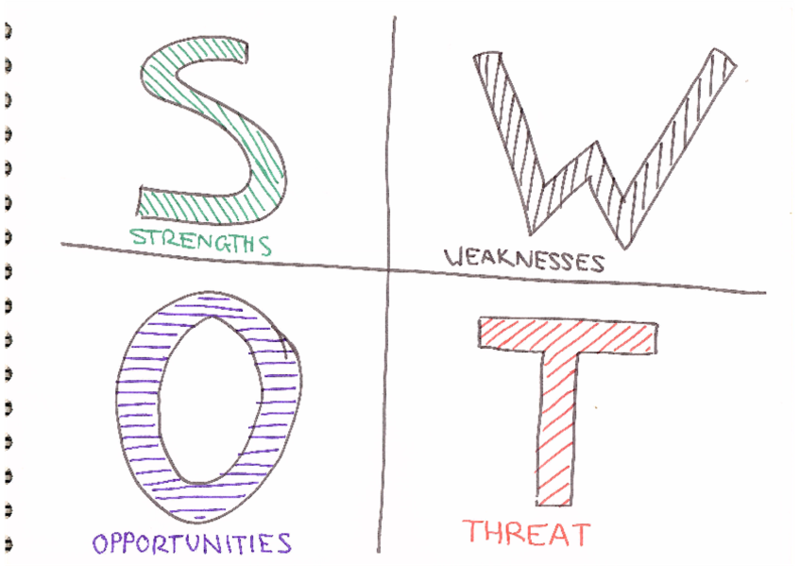 For this purpose, on top of the “Up at Night” exercise we also did a SWOT analysis to make sure we didn’t forget anything. We learned a lot from using a modified version of the Inception Deck for starting a change management initiative. The most interesting was that no one had actually done an Inception Deck before except the coach, therefore even this was a change. Taking into account the culture of the company you are attempting to change is very important, and this was not taken into account. This is very important when communicating with the rest of the company. Next time we try to use the Inception Deck we will probably do an exercise to describe your communication strategy which can tie nicely with Schneider’s cultural model. This was one of the biggest things we found lacking. For this purpose we would use an exercise like the one in the image below.